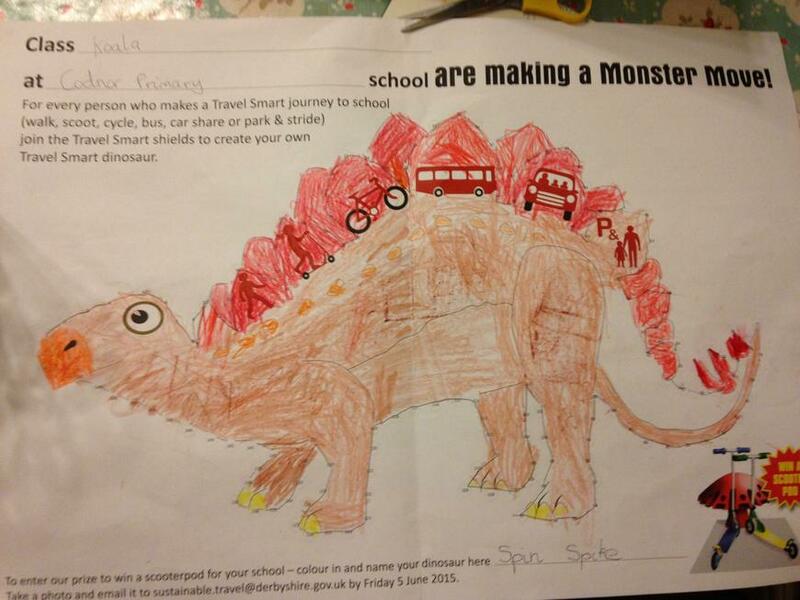 During Travel Smart Week each class was given the challenge of completing their own dinosaur. 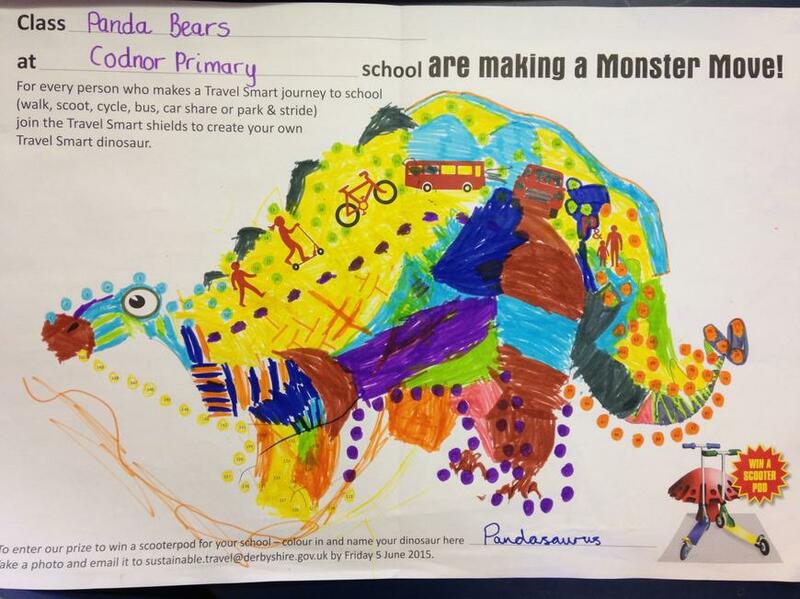 Each child in the class could colour in one shield each day they walked, scooted, cycled, used the bus, car shared or parked and strode - five shields in all. 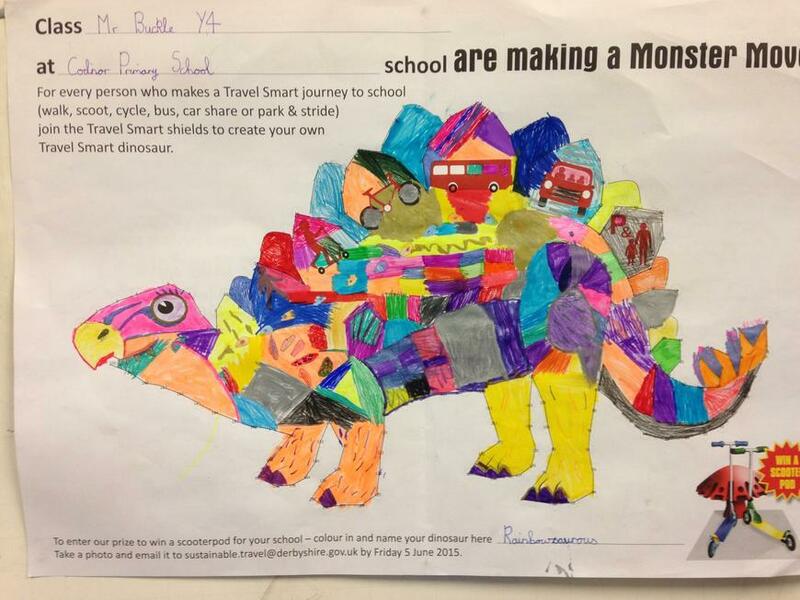 Four of our classes - The Teddy Bears; Panda Bears; Koala Bears and Mr Buckle's Year 4s - managed to complete all the shields on their dinosaurs and were therefore given the added task of colouring in and naming their dinosaurs so they could be entered into a competition. 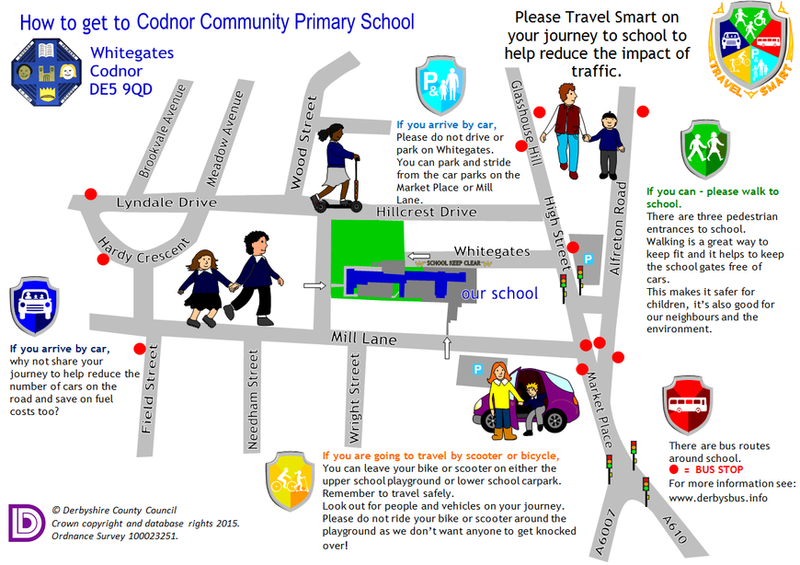 The competition, run by the Sustainable Travel Team at the Derbyshire County Council, was to win a Scooterpod for the school to allow children to store scooters and bikes safely and securely at school. On Wednesday 10th June we found out that we had won the competition and all we need to do now is choose the colour we would like. 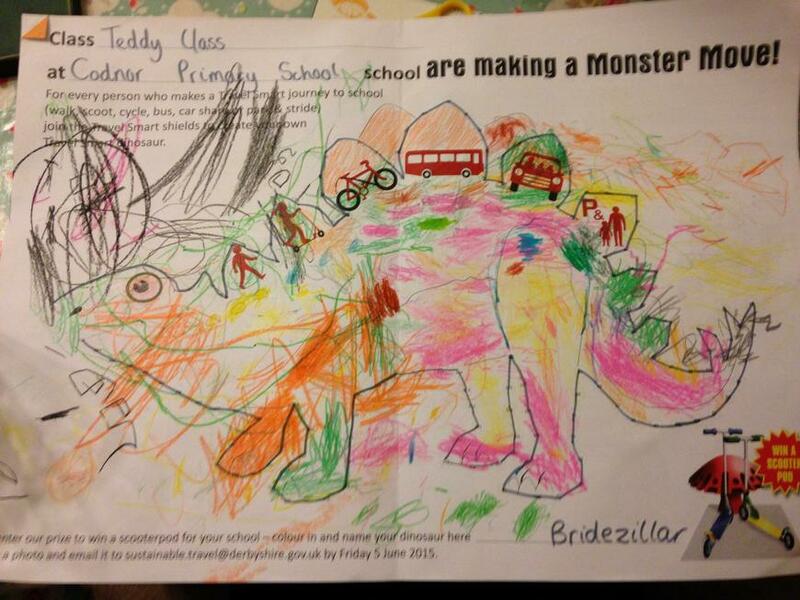 A big well done to all the children and teachers who took part!